The Freemasons are primarily a fraternal order and, contrary to conspiracy theories, Freemasonry is nor religious nor particularly clandestine. Members join for the purposes of socializing and networking, and the organization itself commonly expresses its purpose is to "make good men better." The process of initiation into a Masonic lodge is known as a series of 'degrees.' Masonic degrees reflect personal and moral development. The rituals involved with gaining these degrees reflect that development and communicate associated information through allegory and symbolism. These allegories and symbols, such as blindfolding, have led to all sorts of accusations by the uninitiated. The rumors are unfounded and today you can find legitimate sources of information—often published by Masons themselves—regarding the ceremonies and allegories used in every lodge. Symbols in any belief system only really make sense within that system. For a Christian, for example, the cross is a symbol of Jesus's sacrifice and the redemption that he makes possible. To a non-Christian, the cross is an implement of torturous execution used by the Romans. Properly speaking, Freemasonry only has three degrees of initiation: entered apprentice, fellow craft, and master mason. These are modeled on the levels of membership within medieval stone mason guides, from which Freemasonry likely derives. Degrees past the third degree are conferred by other organizations which are related but wholly separate. For instance, in the Scottish Rite, degrees range from four to thirty-three. Freemasons keep some of their activities closed to non-members. That policy has led many to label them a "secret society," which in turn opens up Freemasonry (as well as related Co-Masonic organizations such as the Shriners and the Order of the Eastern Star) to a variety of conspiracy theories. In truth, however, there are a great many organizations that keep at least some aspects of their activities secret, whether they are concerned with the privacy of members, trade secrets, or numerous other reasons. One might even say something as innocuous as a family gathering is closed to non-members, yet no one is generally suspicious of them. Freemasonry does recognize the existence of a Supreme Being, and new members are required to swear that they hold such a belief. Beyond that, however, Freemasonry has no religious requirements, nor does it teach specific religious beliefs. 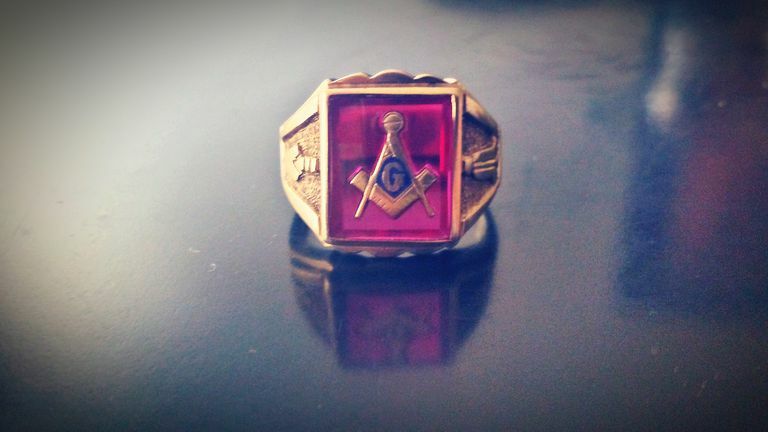 In fact, neither politics nor religion is to be discussed within a Masonic lodge. Freemasonry is no more religious than the Boy Scouts, which requires members to believe in some sort of higher power. Ironically, the affirmation of belief in a supreme being may have originally been added not to control the beliefs of members but to refute the accusation of Freemasons being atheists. Various anti-Masonic writers have made a variety of claims over the years as to supposed religious beliefs being taught within Freemasonry, generally only at the very highest levels. Where they get this information is usually rather vague and often not mentioned at all. The fact that such accusations are only leveled at the highest degrees of Freemasonry makes it impossible for the average reader to contest such claims. This is a common hallmark of a conspiracy theory. Many of the rumors surrounding Freemasonry stem from the Taxil Hoax, promoted by Leo Taxil in the late 19th century as a mockery of both Freemasonry and the Catholic Church, which officially opposes Freemasonry. Taxil wrote under the pseudonym Diana Vaughan, claiming that she had cavorted with demons as a Freemason before being saved by the intercession of a saint. The story won praise from the Vatican, after which Taxil confessed that Vaughan was imaginary and his details were made up. Anti-Masonic writings commonly claim that Masons honor Lucifer as the god of goodness while condemning the Christian God as the god of evil. This concept was originally attributed to Diana Vaughan by another publication and thus is considered to be part of the Taxil Hoax. "Occult" is an incredibly broad term, and varying uses of the word cause a lot of confusion. There is nothing threatening in the word itself, although many people think there is, believing anything occult must have to do with Satanic rites, demons, and black magic. In truth, occultists are a far wider group of people who seek hidden knowledge—often of the spiritual nature—through a wide variety of methods, most of them benign. Even if there are occult aspects to Freemasonry, that shouldn't imply anything positive or negative about them. Anti-Masons often point to the number of 19th-century occultists who were also Masons, as if that somehow makes the topics identical. This is like pointing out a number of Christians who ride bicycles, and then insisting that cycling is a part of Christianity. It is true that the initiation rituals of many 19th- and 20th-century occult groups bear similarities to the Freemason ritual. Freemasonry is a couple of centuries older than these groups, and there is some shared membership between them. These groups clearly found aspects of Freemason ritual to be effective in conveying certain ideas. But Freemason ritual was also copied by a variety of other social organizations, so it clearly appealed to a wide range of people, not merely occultists.